Durable sliding rails and side seat mounts for any use. Side seat mounts are also available in aluminium which are more lighter than normal metal mounts. Sparco Sprint V seat This is a very affordable FIA-approved bucket seat.The renewed version we sell has improved side mounts, added lapbelt boles, and comes with a black fabric with white striping. 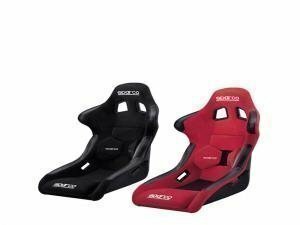 Sparco seats and accessories are all available from us.